Sarah Palin's E-Mail Hacker Begins Prison Term ! A former University of Tennessee student convicted of hacking the e-mail account of former Alaskan Governor Sarah Palin during the 2008 presidential campaign has begun his one-year sentence in an unfenced federal prison camp in Kentucky, authorities said Thursday. According to a statement issued by spokesman for the Federal Bureau of Prisons, 23-year-old David Kernell reported at the minimum security camp in Ashland, Kentucky on January 10 to begin serving out his sentence. Kernel's imprisonment at the Kentucky prison camp came despite a recommendation by sentencing Judge Thomas Phillips that he should serve out his term at a halfway house to reflect the "unique circumstances" of the case. In his ruling made in November, Federal Judge Thomas W. Phillips had recommended that David Kernell be allowed to serve out his time at the Midway Rehabilitative Center on Magnolia Avenue in Knoxville, a half way house located near the college where Kernell took classes this summer. In addition to the 1-year prison sentence, Judge Phillips also ordered Kernell, who was a 20-year-old student at the University of Tennessee when he committed the crime, to get mental health treatment. Kernel had turned himself over to authorities in October 2008. The judge, however, rejected the prosecution's demand for an 18-month sentence for Kernell, who apologized to Palin and her family after his sentencing. His lawyers had earlier argued that the offense committed by their client was a youthful prank. Despite the judge's recommendation, it was up to the Bureau of Prisons to decide whether David Kernell, the son of Tennessee Democratic state representative Mike Kernell, should be allowed to serve out his time at a halfway house. The sentencing on November 12 came seven months after a federal jury convicted Kernell after finding him guilty of hacking into the email account of Sarah Palin during the 2008 presidential campaign when she was the Republican vice presidential nominee. In April 2010, the jury had found David C. Kernell guilty of "felony destruction of records to hamper a federal investigation and misdemeanor unlawfully obtaining information from a protected computer." They, however, acquitted Kernell of wire fraud charges. Palin, who had taken the stand to testify against Kernell, claimed in her testimony that Kernell had compromised the way she communicated with her family during the 2008 elections by his irresponsible actions. Soon after Kernell was convicted in April, Palin posted a statement on her website, thanking the jury and the prosecutors for making sure that the hacker received the deserved punishment for hacking into somebody's private e-mail account. "Besides the obvious invasion of privacy and security concerns surrounding this issue, many of us are concerned about the integrity of our country's political elections. 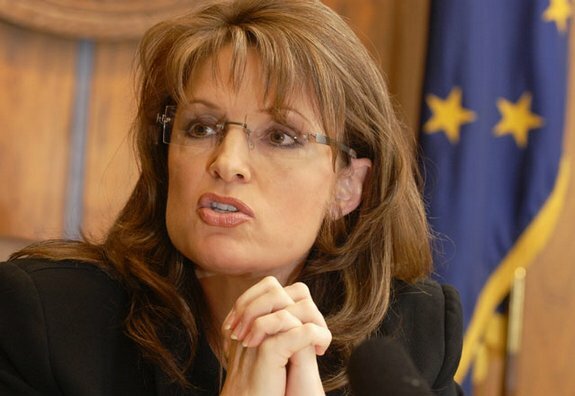 America's elections depend upon fair competition," Palin said in the statement. "Violating the law, or simply invading someone's privacy for political gain, has long been repugnant to Americans' sense of fair play. As Watergate taught us, we rightfully reject illegally breaking into candidates' private communications for political intrigue in an attempt to derail an election," she added.